Every December the editors of Apple's iTunes face the monumental task of selecting two games out of the thousands released during the year to receive top honors as the Best of 2013. This year they chose ridiculously well. I cannot link you to iTune's Best of 2013 feature — you'll have to go into iTunes on your computer or iDevice for that — but I can tell you the two games that received top honors this year are worthy ones indeed. 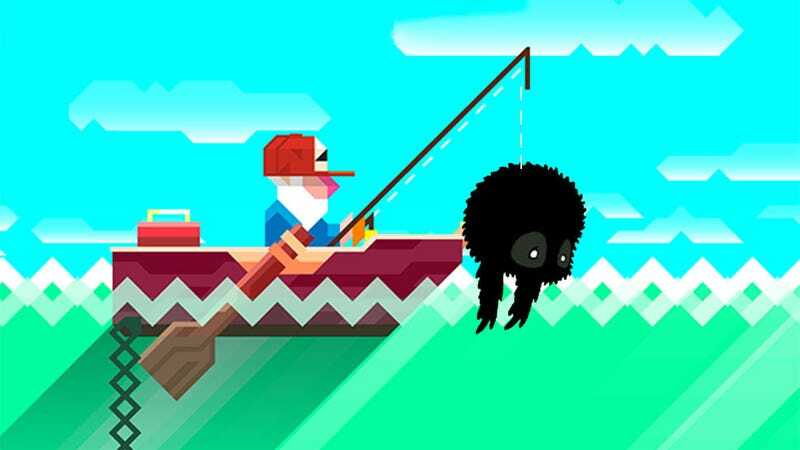 Our own Kirk Hamilton said of Vlambeer's Ridiculous Fishing, "Come for the fishing, stay for the uzis." And then stay longer to see the game awarded iTune's 2013 iPhone Game of the Year, beating out Simogo's ingenious Device 6 and Plants Vs. Zombies 2. On the iPad side, a game I very nearly overlooked won top honors. "Badland earns every positive iTunes review and both of (its) pre-release awards," I said of the dark and lovely action strategy game. It's also earned iTune's iPad Game of the Year, besting PC port XCOM: Enemy Unknown and the stark and challenging work of rolling art, Impossible Road. What's interesting about iTunes' Editors' Picks is that neither of the games selected showed up on the year's Top Sellers' list. Instead, both the iPad and iPhone listings of the 15 Top Paid, Top Grossing and Top Free apps are topped by Candy Crush Saga and Minecraft - Pocket Edition. Just goes to show you don't need to make the best game to be a success on iTunes, and having the best game on iTunes doesn't necessarily mean overwhelming success. What an odd market we've cultivated.